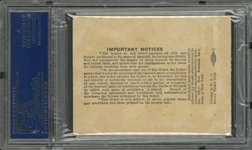 The 1941 baseball season is considered by many baseball historians as the greatest season of all time. Ted Williams was in the midst of hitting over .400, the Yankees’ Joe DiMaggio hit in 56 consecutive games and the Brooklyn Dodgers were locked in a fierce struggle with the St. Louis Cardinals for the National League pennant. All this while a WWII broke out and current players were conscripted into military service. One event during this season which is somewhat overlooked was the beginning of the retirement of uniform numbers. This tradition began on July 4, 1941, the day the Yankees retired Lou Gehrig’s number “4”, making it the first uniform number in baseball history to be retired. 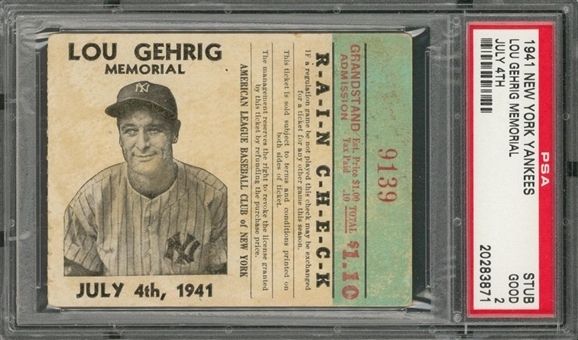 A month earlier Gehrig succumbed to the disease which bears his name and the Yankees honored him with this heartfelt and touching Independence Day memorial. 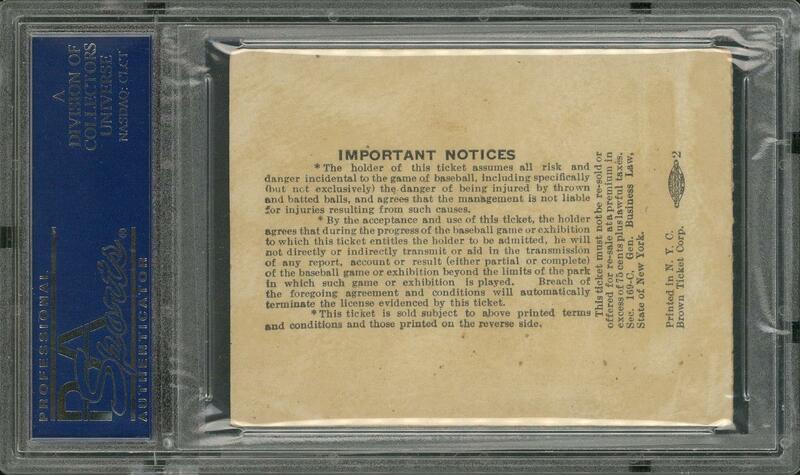 This ticket stub has been encapsulated and graded a GOOD 2 by PSA/DNA (20283871).